Most of my time is devoted to dissiminating academic knowledge. However, I still conduct research as well. 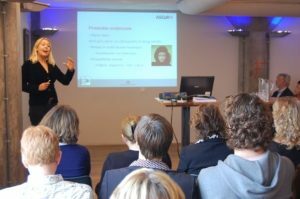 I’m affiliated with the Institute for Cultural Inquiry (ICON) of Utrecht University. My academic research consists of different lines of interest, which are interrelated. My PhD project focused on girls and girl culture, aiming to theorise how girls position themselves in the multicultural society. As an assistant professor, I set to further understand the role of popular culture in identity practices of religious young people in a line about religion and the multicultural society. My position was in research methods and methodology to investigate how we can study media in everyday life. In addition, I have published about fans and fan cultures.